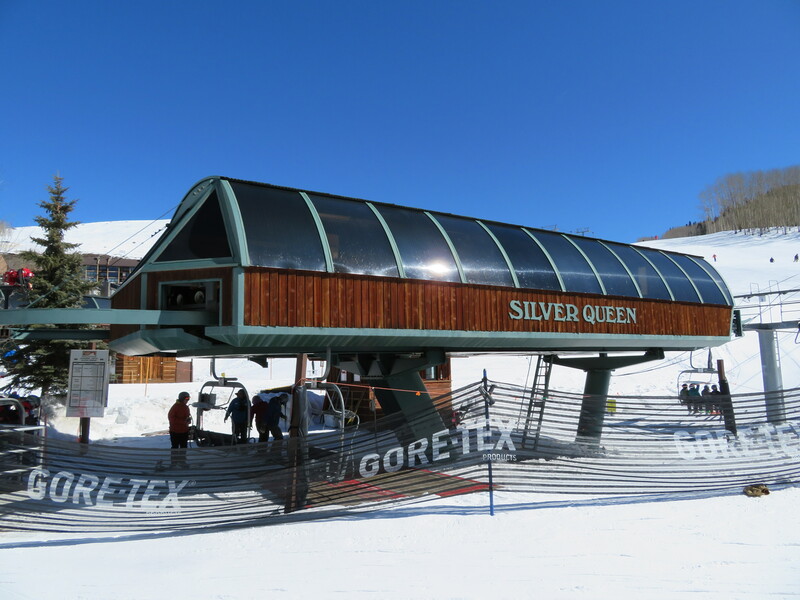 The Silver Queen was the first detachable quad at Crested Butte when it debuted. The bottom station has tensioning but not the drive. View up the lift line from T3. 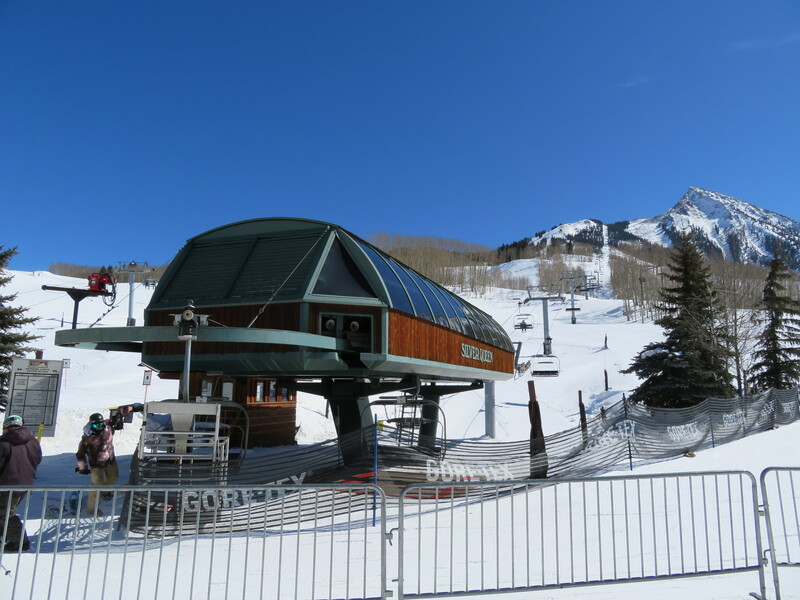 This is really the flagship of the mountain, travelling nearly top to bottom. The Queen is almost 8,000 feet long. Looking up at tower 18. 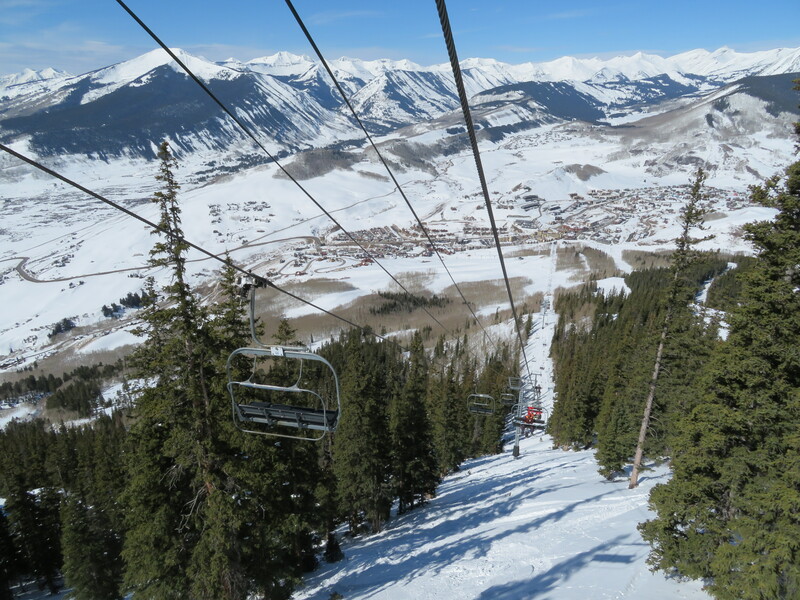 View back down the impressive lift line. 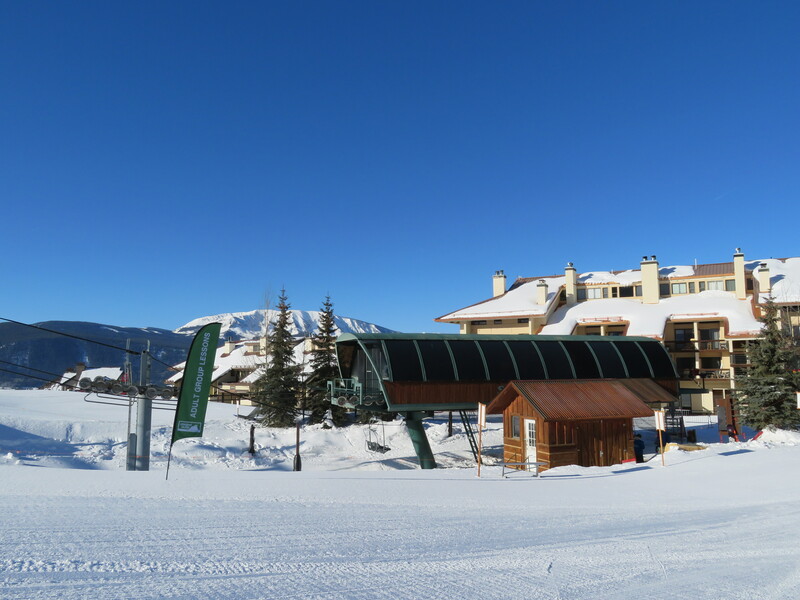 Looking up at the lift from Westwall’s top station. 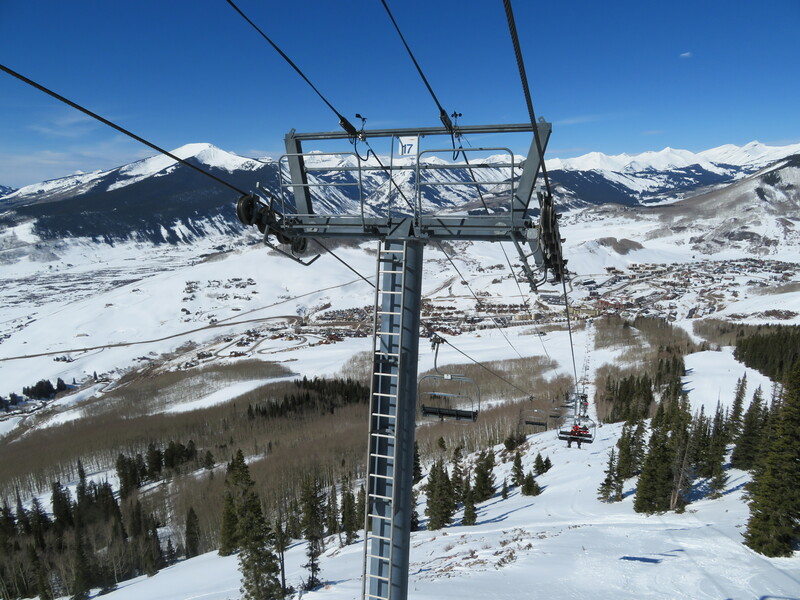 I always have considered this to be one of the most impressive profiles of any lift I’ve ridden. 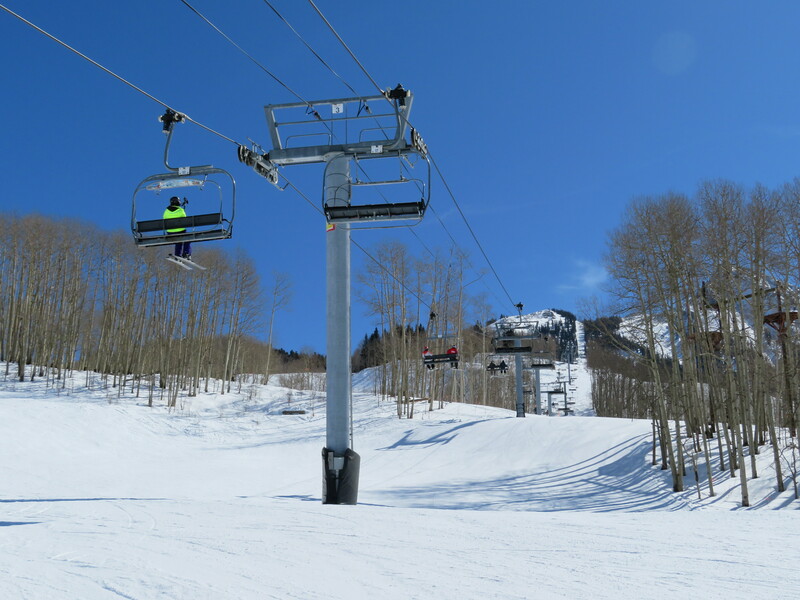 I feel like the lift can be divided into three parts: a lower part which travels through the aspen trees as you cross the beginner and intermediate trails of the lower mountain. Then in the middle part, you enter rockier terrain where the aspens give way to evergreens and pines. 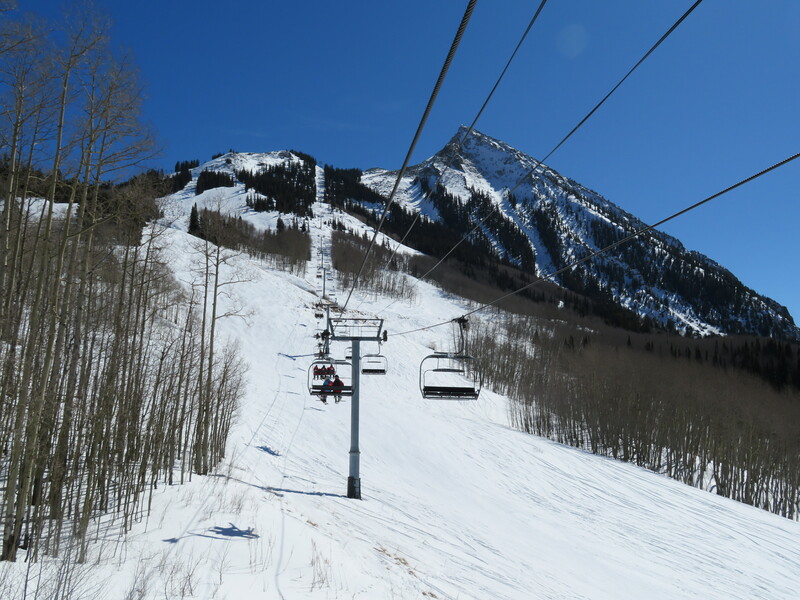 Then you hit the steep upper segment, which feels so different from the lower part. 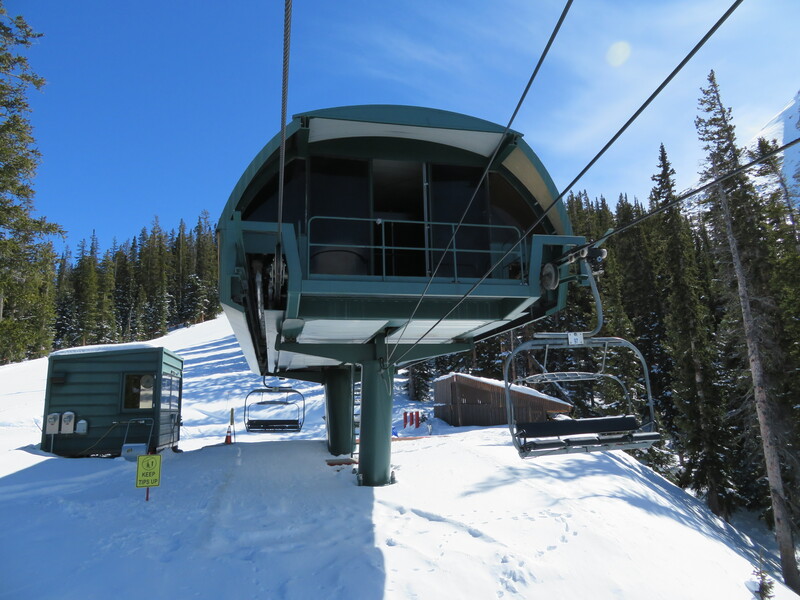 Does this lift ever operate at 1100 feet per minute in normal operation? 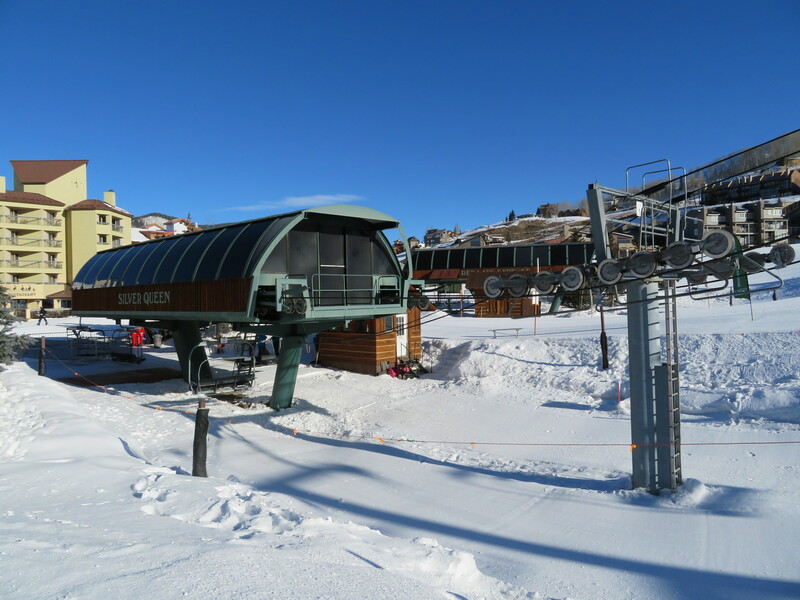 With this lift’s issues this season, I would have to imagine Vail will replace it within the next season or two because it is 27 years old and probably not worth the cost of potential repairs. 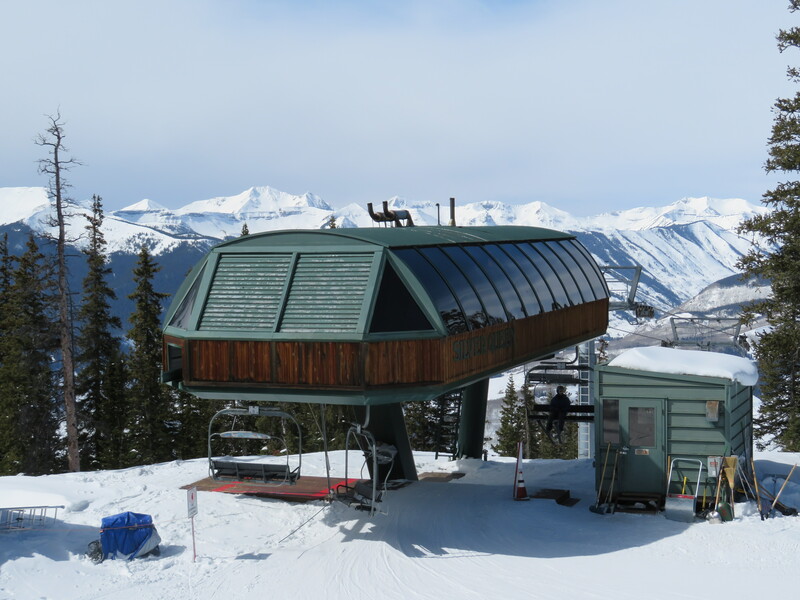 Avanti was replaced at Vail when it was 26. 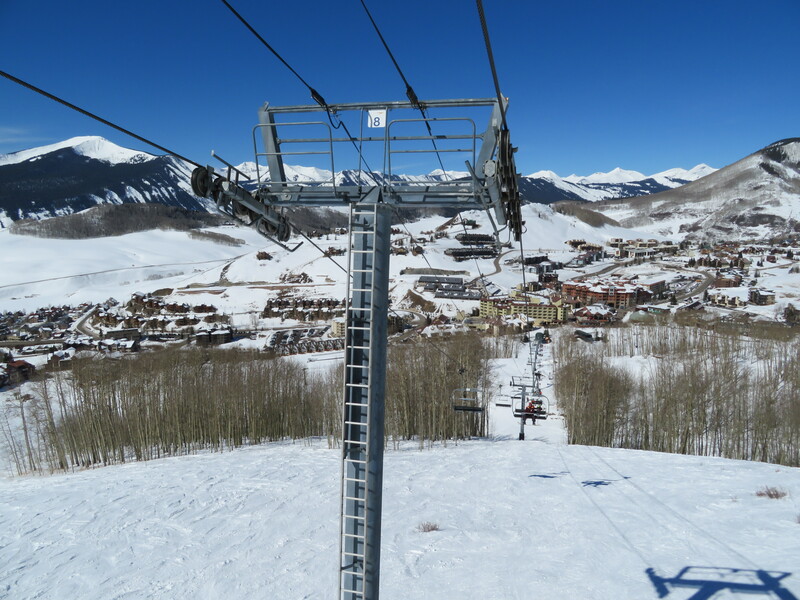 I could see them putting a six pack here when replaced, as that is what Vail tends to do when replacing a detachable quad. Twister would have been nice to have these last five days. I do feel the need to mention the whole unloading area doesn’t seem practical to run a six pack up to. I mean, almost all traffic gets funneled into the Windy Gap trail and adding more capacity risks problems. Rebuilding as a quad with new terminals and new LPA grips would be more practical. Building a six pack instead of a quad does not have to be for current demand but for future projections. 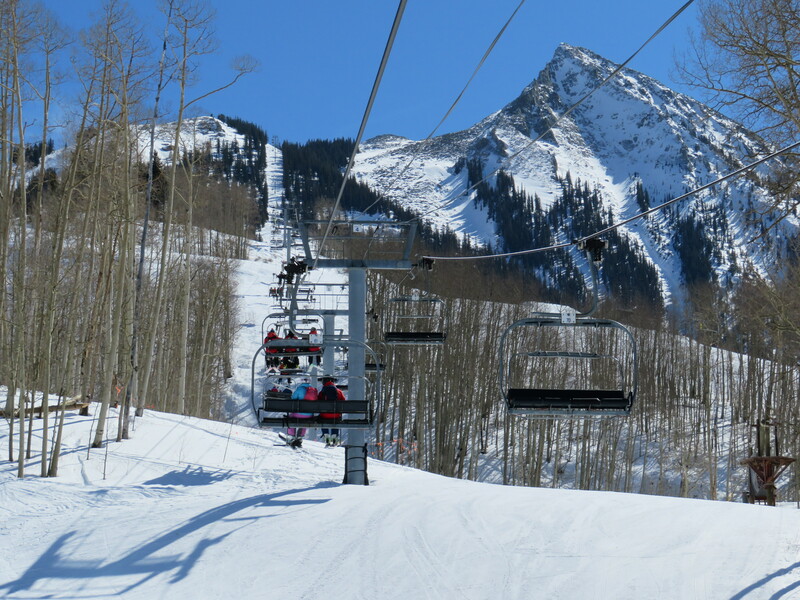 With the mountain being Epic, the number of skiers should increase. 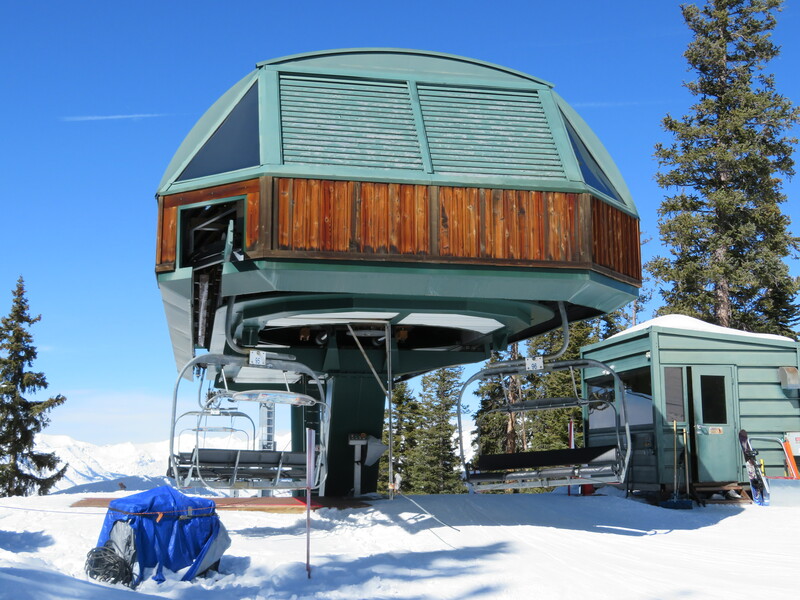 They can install a six with a capacity of 2400 (like a quad) and install additional chair if needed over the life of the lift. 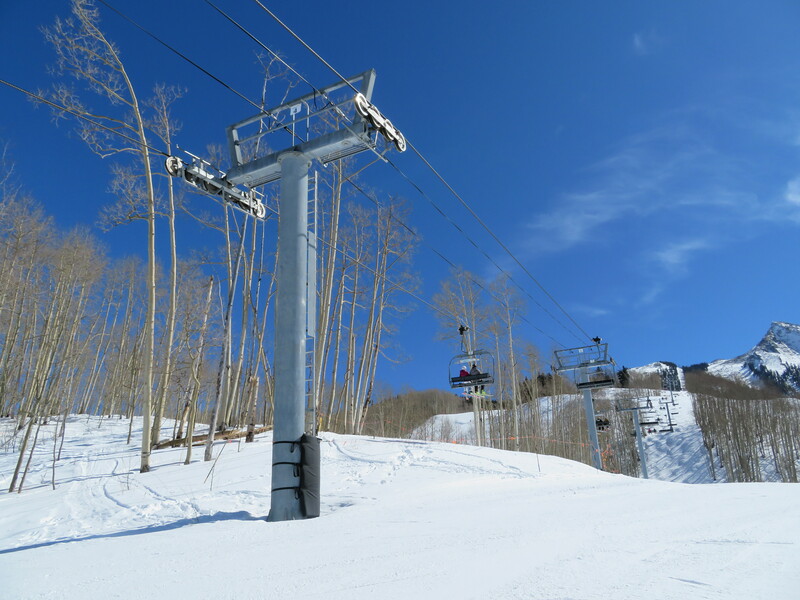 If they are very concerned with trail space, the lift can end about 500 feet down and 100 feet over closer to the top of Upper International, which still allows High Lift access. 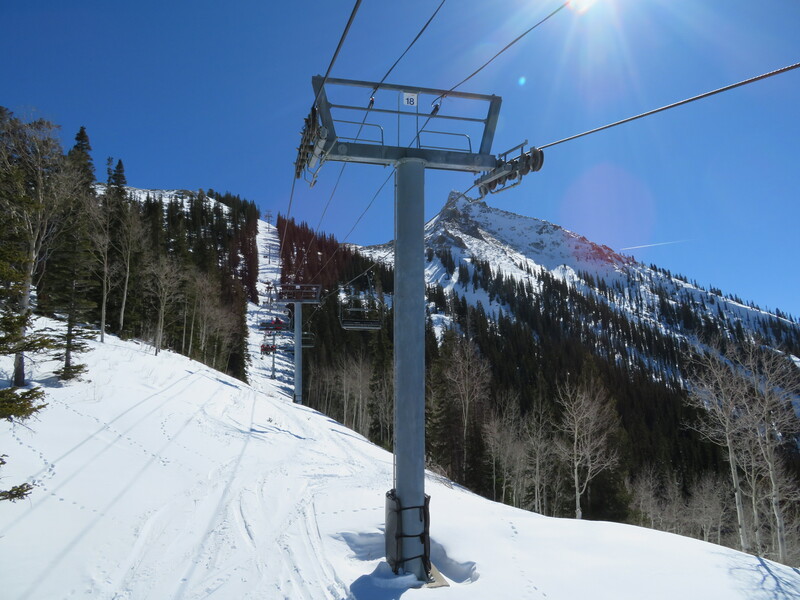 Moving the unload area down to “500 feet down and 100 feet over closer to the top of Upper International” would probably also be detested by some expert skiers who’d be losing one-seat access to some of the chutes accessible from the ridge trail.